The Maine Small Schools Coalition (MSSC) met September 25 in Orono to discuss a range of issues from Maine's controversial school consolidation law to school finance and state education policy. Paul Stearns, superintendent of SAD 4 (Abbot, Cambridge, Guilford, Parkman, Sangerville and Wellington) covered most of these issues in a midmorning presentation. Stearns explained that school consolidation does not save the state money because Maine only spends 3.2% of education funds on school administration. Stearns cited 2008 data from the Maine Department of Education (DOE), suggesting that policymakers should have looked harder at the other 95% of the pie before mandating reorganization. Stearns explained that mandated spending is part of the problem facing Maine today, and that if we're to get serious about saving money in education, legislators should look in that direction. 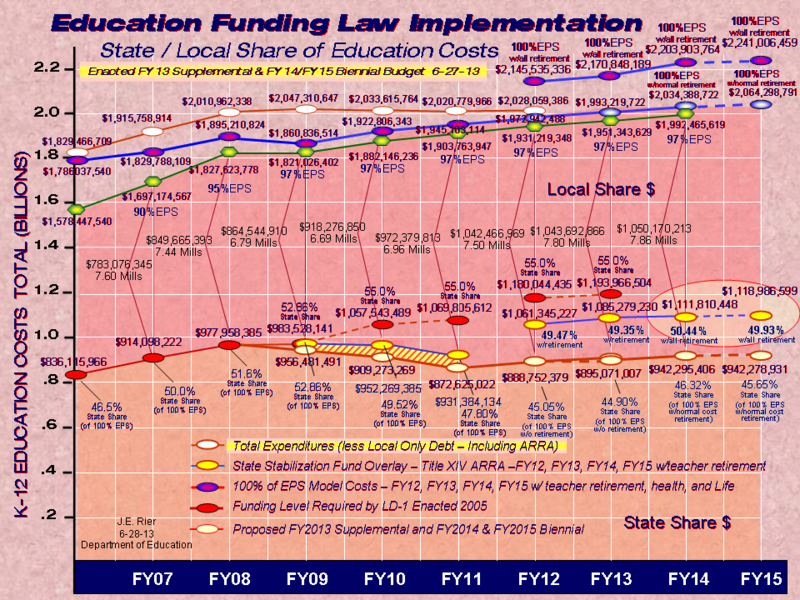 Stearns also pointed to the Essential Programs & Services (EPS) funding formula as a driver of education costs. Stearns also noted that a statewide teachers contract would create additional costs because teachers in higher paying districts are not going to want to give up pay and benefits while those in lower paying districts are going to want equalization. According to Stearns, something similar happens when towns with widely disparate per pupil costs try to come together. Those who are spending more per pupil shift the cost onto those who are spending less. 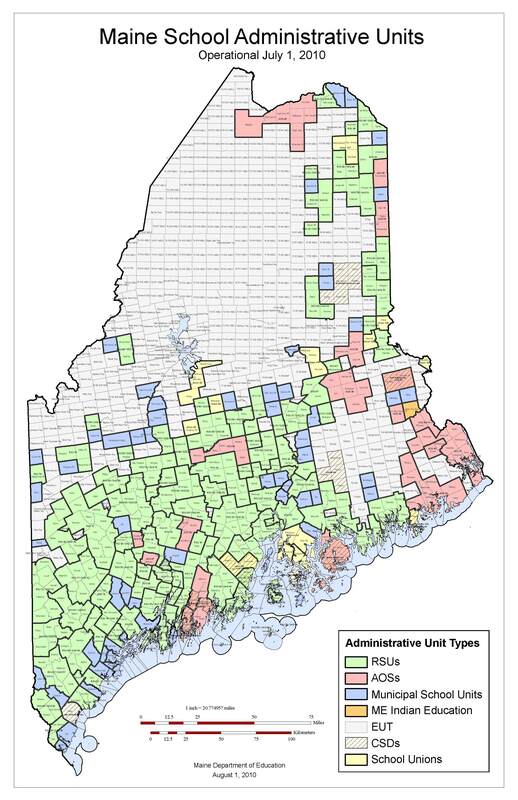 At the same time, those districts who try to opt out because of increased cost are penalized for fiscally prudent policy, a situation which has put much of rural Maine in an untenable position. Stearns concluded by predicting that Governor Baldacci will announce a sweeping curtailment later this year, although in his view, putting that off is not a good idea because it creates even greater uncertainty. MSSC also heard from municipal officials impacted by school consolidation, University of Maine professor Gordon Donaldson, Rep. Pete Johnson (R-Greenville) and Lawrence “Skip” Greenlaw, a Stonington man who spearheaded efforts to get repeal of school consolidation on the November 3 ballot. MSSC, which supports the initiative, also held several strategy sessions as they gear up for the fall campaign.